We all have that one dress that we want to pull out from beneath our pile of clothes and put on, at least once in a while and dance the night away to glory! But alas, entry fees are usually a bummer at most places, and we do understand how that feels. So, we've made it a little easier for you by compiling a list of places that won't charge a penny for entry. Giving out a beautiful Mexican vibe, Rodeo Drive is known for its food as well as its ambience. They're usually playing the most popular chartbusters to groove to, we love it! It has free entry for all until 9 PM (Thursday, Friday, and Saturday) after which there is a full cover charge of INR 2,000 for stags (male and female) and couples. Bring out the matador in you with the raging bull that is positioned inside the premises. With a spacious rooftop bar, karaoke, live sports screening facilities and a spacious dance floor, Raasta is one of the most popular spots to hang out at over the weekends. To beat it all, there is free entry for couples and female stags. Sorry men, Raasta doesn't allow male stags. But we're pretty sure that your dating game is top notch, so bring it on! Entry for everyone is free. But that's not it! They have something for everyone to do here. If you're not a social butterfly, and prefer like-minded company over a few drinks, hit up the PlayStation and challenge someone to a tough game of FIFA maybe? While the dancers go and grab their spots on the dance floor, you can even play some pool or enjoy a live match screening, if any. Located in the same compound, Kitty Su is Lalit Hotel's own party place. We can bet that you will find one of the best crowds in town, right here. If you're someone who takes their partying very seriously, then you must head here. However, if it is just free entry you are looking for, walk in on Wednesdays and Thursdays. Weekends at Kitty Su can really burn a deep hole in your pocket. If you love retro and parties, you’ve got to make your way to this club in Bandra. The food is great, the deals on alcohol are amazing, and the music is even better. Cozy, trendy and uber stylish, we love the vibe of this dive bar that pulls in a crowd from all parts of the city. We love the pool table, deals on booze, happy hours and of course, the fact that there is no entry charge. 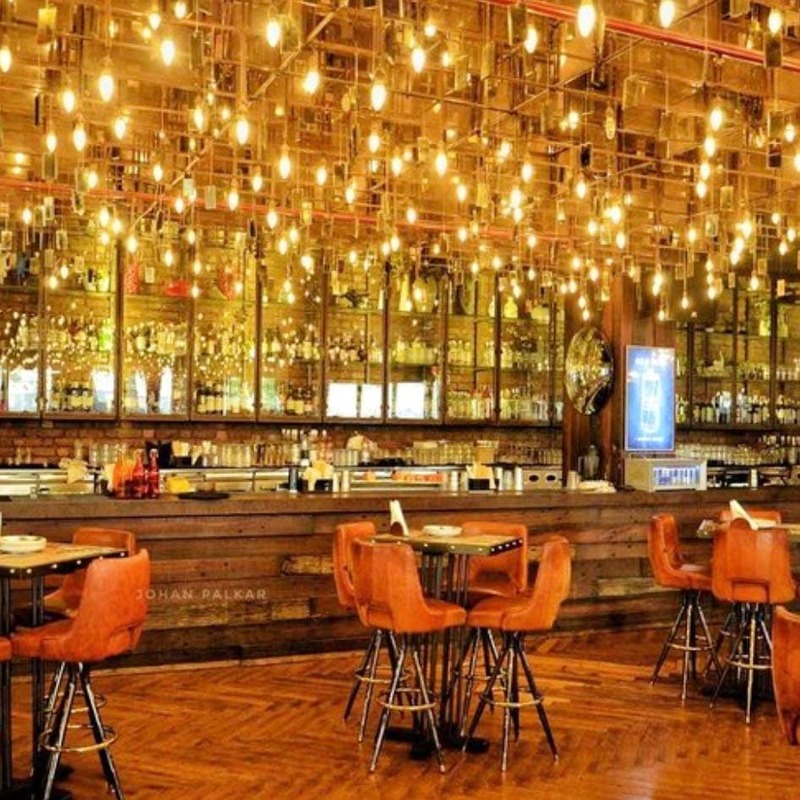 We love this Bollywood-themed lounge because of the theme nights. Plus they have super delish food (they even have a Jain menu!) great deals on alcohol and no entry charge to all this unlimited fun. Also, they have a free entry for all, from Monday to Thursday, and Sunday. If dancing is your focus area, and you’re okay settling in for a makeshift dancing area, then you could choose to head to 145 Bandra (which also charges nothing for entry) that on any given day turns into a dancing place with people swaying to the tunes of latest party anthems alongside their tables.